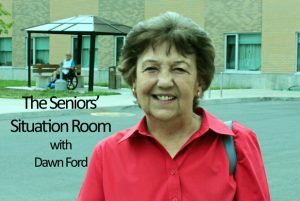 Cornwall Ontario – April is National Volunteer month. We are so lucky to have many many great volunteers in Cornwall. You see them manning booths for such things as bake sales, having garage sales, walk-a-thons, deliver food like Meals On Wheels, golf tournaments, special dinners, etc. etc. 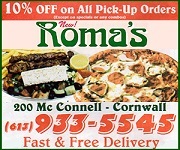 to raise money for many causes and agencies in Cornwall and area. Wonderful also to see our young teenagers volunteering for so many events. Kudos to all our volunteers who give so much of the time to help our community. On Easter weekend, I went into our Giant Tiger Store. Inside was a booth with some women selling Girl Guide Cookies. They had a very special sales person that day with them. I guess she was about 7 or 8 years old, probably a Brownie. … cute as they come. She asked me if I wanted to buy some cookies, that they were peanut free. She showed me the little peanut with the line through it on the back of box. I told her that I had been a Girl Guide once and I would buy a box. She then asked if I wanted to buy two boxes!! High pressure sales pitch from a wee lass!! Who could say no?? She was so cute and so sincere. I had wished I had had my camera with me and taken her photo. One of our very young wonderful volunteers helping our community for sure. 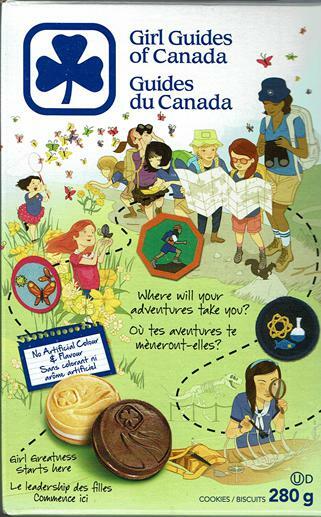 To get more information or to enrol your daughter in Girl Guides of Canada call 1-800-565-8111 or register anytime on line at : girlguides.ca. This beautiful photo of a Bluebird was sent to me by Myrna Plumley- Watt. A friend of hers in Charleston, South Carolina had taken it at the end of March and sent it to her. Myrna sent it to me because she remembered that I had been the leader of the Bluebird Patrol when we were in Girl Guides together many moons ago. According to Myrna who looked up information on the Bluebird in her bird book, it is a much more quieter bird than our Blue Jay with a more melodious warble. 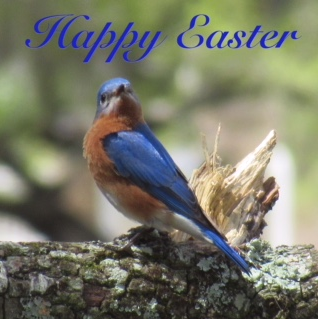 It is called the Eastern Bluebird and it breeds east of the Rockies from southeastern Canada to the Gulf of Mexico. Myrna said that may explain why we don’t see any because they don’t live in our climate. Beautiful bird. Thanks, Myrna, for sharing it with us. Myrna will be celebrating a birthday this weekend. I won’t say how young she is because then I would be telling my age too….I think she is older though. LOL..Just kidding, Myrna. Happy Birthday. April is also the Cancer Society’s Daffodil Month. According to their web site, the Daffodil symbolizes strength and courage of those who are living with and fighting against cancer. We can show our support by donating and wearing the Daffodil Pin in April. The money donated during the Daffodil Month will help people living with cancer and their families as well as funding life saving research , information and support services. To sponsor Dawn’s Column dial 855 444 1133 today! In the early 1950’s, a family of my aunt’s in-laws, lived in ‘the country’ near Glen Walter. My younger sister Evelyn and I used to go for weekends sometimes and visit them. They had about 3 or 4 daughters and a son a bit older than I.
I don’t remember it as being at a farm because I think I would remember petting the animals. We could go on hay rides sometimes. We were two little city kids on a big pile of hay having lots of fun. We loved it. We also jumped off a wharf and swam in the St. Lawrence River for hours. We bought yummy curds at a general store which I think was near-by. I remember a woman came into the store one time when we were there and asked for ‘old’ cheese. As kids we couldn’t believe anyone would eat ‘old’ cheese and thought she was going to get very sick. Someone said that further down the old #2 Highway had been a Cheese Factory at one time. Saturday night there was a dance in a hall and we all went and we watched the dancers and listened to the great western style and rock and roll music. Some of the teens and adults were jitterbugging and I wanted to learn to do that dance. It was a really fun evening. Then Sunday came and after church, the father of the family drove my sister and I home back to the City of Cornwall after a great fun weekend in what we called at the time, ‘the country’. Nice memory. Another wonderful volunteer organization is STRIDE Wheelchairs Plus in Ottawa. According to their web site, it is a recycling depot for donated equipment such as wheelchairs, walkers, scooters, bathroom and bedroom aids as well as other miscellaneous equipment for people with disabilities and those in need of assistive devices. This non-profit organization is a Registered Charity and is operated solely by a team of volunteers consisting of persons with disabilities, families of persons with a disability, Retired Engineers and former Health Care Professionals as well as other dedicated men and women. The donated equipment is refurbished and must meet their high standards of safety. The equipment can be rented or purchased. Financial assistance such as a budget-friendly, interest free monthly payment plan can be arranged for purchases. For more detailed information please call their office at 613-723-0528 or visit their website at: http://stridewheelchairsplus.ca . You can also visit the officewhich is located at 43 Grenfell Crescent, Bay #6, Nepean, ON. I love it when I am in the Cornwall Square sitting on a bench eating my favourite Laura Secord chocolate ice cream cone. Often when I am munching away at the cone some mothers go by me with their little ones in strollers. It happened recently when I was waiting for a friend shopping in a store. It happened about 4 times, to be exact. Mom that they want one…..all excited. Little fists go in their mouths like they can taste it already. Absolutely adorable. Sometimes the little toddler walking beside the stroller starts pointing and talking a blue streak to Mom.. . I want one!!!! One little babe about two years old was struggling to get his cap off and with one eye only, he saw the cone. Did he go into action fast yanking at the cap and pointing and yelling to his mom for a cone. I wish I had had a double scoop and could have seen more of the little ones. So cute to watch. Maybe I could be a bench sales agent for Laura Secord. Sure sounds like that ice cream cone drums up some business for them. I’ll make it a double. 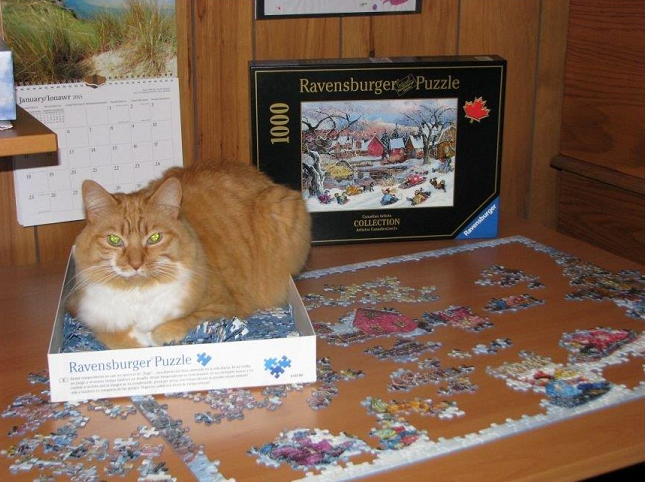 Here is a great photo of Fran Irwin’s cat, Sheba,lying causally in a box of puzzles. I thought maybe she probably had hopped in when Fran’s back was turned for a few moments. Not true. Sheba sits in the box for hours., according to Fran. Must be a bit tricky finding a piece of the puzzle at times. As you can see Sheba is a gorgeous cat, a bit like a Siberian Forest Cat apparently with long silky fur that comes out in clumps. What a little monkey…just like Tiger…he would love that box to sit in. Thanks Fran for sharing this adorable photo. Mary lived on a farm near Lloydminster. Her home was right on the border, so for years she never knew which providence she actually lived in- Alberta or Saskatchewan. A Government surveyor finally came to the farm to determine her residency. “Well, it turns out you live in Alberta,” the surveyor said. “Why are you so relieved?” the surveyor asked. Hi Dawn. Cute stories, puts a smile on my face. Dawn those are great stories. My daughter was in Brownies here in Ottawa when she was little. I remember going around with my daughter to sell cookies and it was in a bad bad bad area here in Ottawa not far from where we live. I wouldn’t even send the meanest dog in that area that is how bad it was and is today. Read Ottawas papers and see what is going on here. Dawn I always enjoy your stories and I told that to Jamie during the time that I wasn’t allowed to post and I told him to tell you that you are a great and wonderful lady. I sure laughed at the cats. The cat in the puzzle box and I was thinking maybe that cat is trying to figure out the puzzle himself. LOL LOL. As always, i enjoyed your column Dawn. I well remember selling cookies as a Brownie and Girl Guide. Sorry no came to my door selling these cookies this year. Thanks for the birthday wishes. You have a phenomenal memory! Dawn some of your stories bring me way back to the 1950s and 60s era when times were good. Today life is not the same anymore at all. I really appreciate the good memories. Cornwall was a good place to live back then but not nowadays. Ottawa is not the same either and no neighborhood is safe here anymore. Jules: thank you so much for your nice comments. Dawn just this morning I wanted to go through a box in my closet and I came across more quilting patterns. While looking I came across a shopping bag with my daughters Brownie song books and that hit me so hard that I started to cry. Those were the better days. We purchased them at the Guide shop on Kaladar Avenue way back then. I think that the Guide Shop moved since then. I also went through my daughters drawer in her room and it it I spotted her Brownie badges on that sling that they put around them and her camp hat. We kept everything from those good days. I have pictures of my daughter in uniform back then and what a treasure. Cornwall was much better during the 1950s era and I think that everywhere was better. Today the society is completely nuts. We used to have a good time skating in the parks and the arena back then. I remember the crafts that were instructed in the parks back then as well. We always had a lot of fun being active. We don’t see the same things anymore at all. Dawn, your column was very good as usual. Thanks for including Sheba.